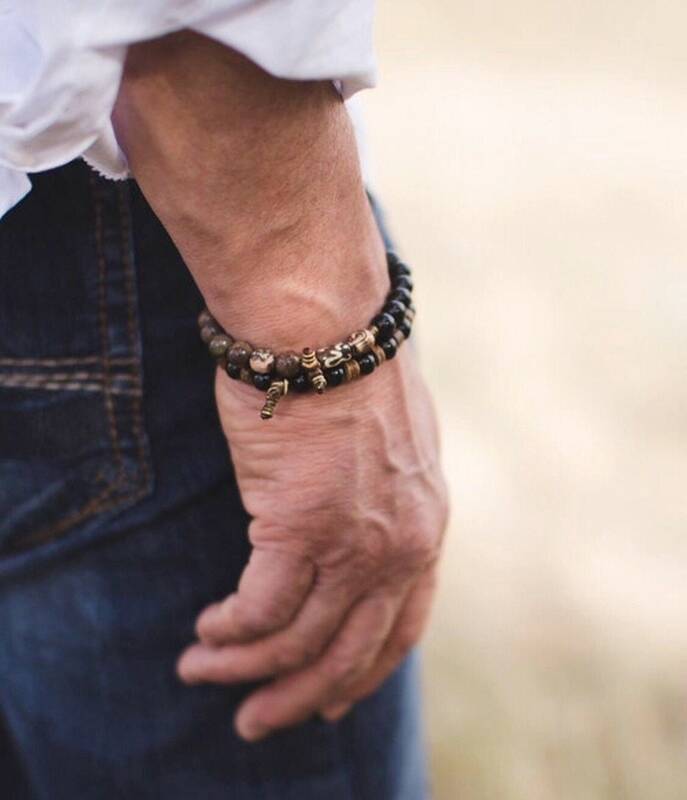 The Men's Strength & Protection Bracelet Set features two of our popular men’s styles, the Men’s Strength Bracelet, made with AA Rainforest Agate, and the Men’s Protection Bracelet, made with luxury Black Onyx and natural coconut shell. 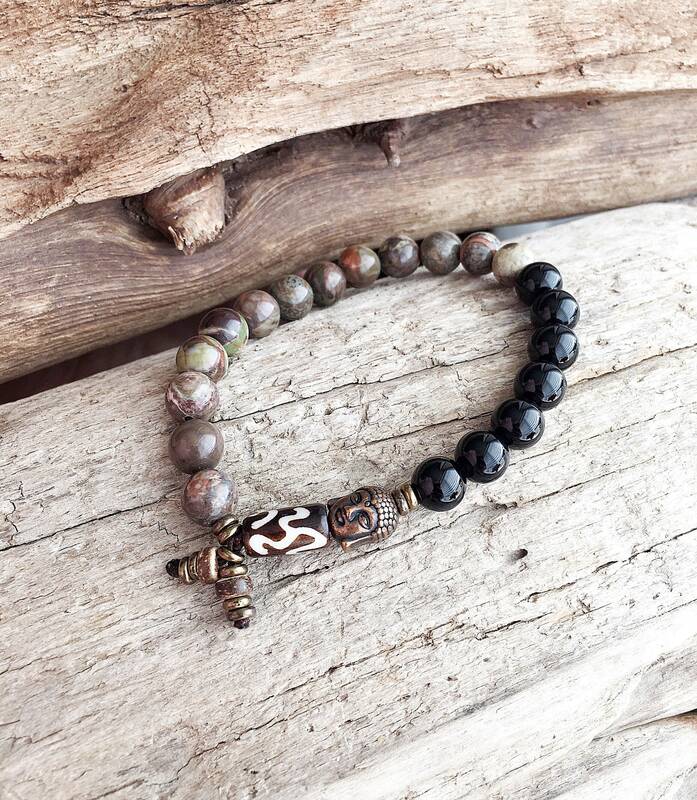 Wear the two together to help keep you grounded, balance all of your chakras, and protect you from negativity and harm. 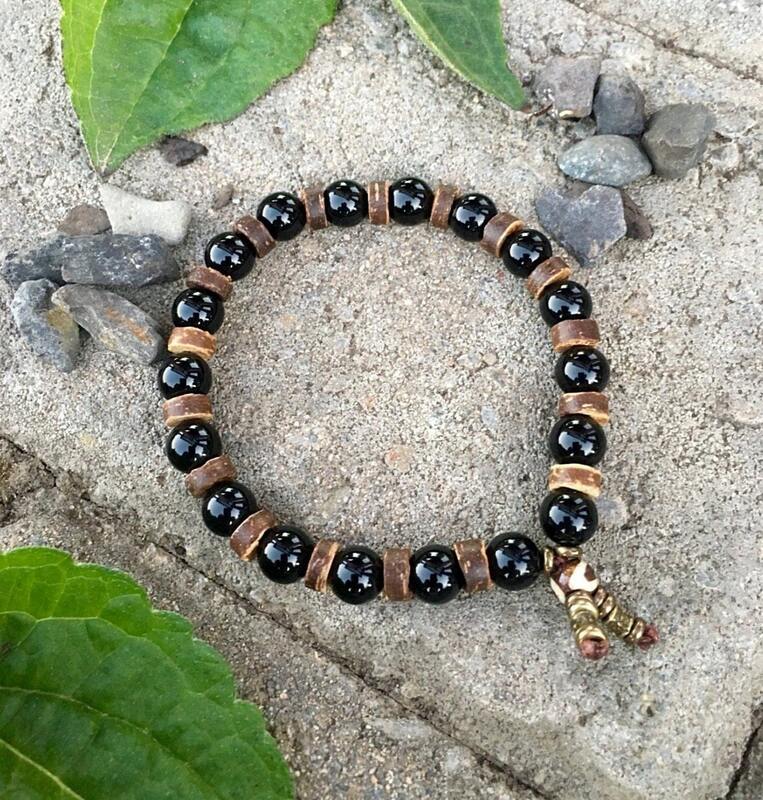 8mm high grade gemstones and natural organic coconut shell, strung on strong elastic stretch cord. 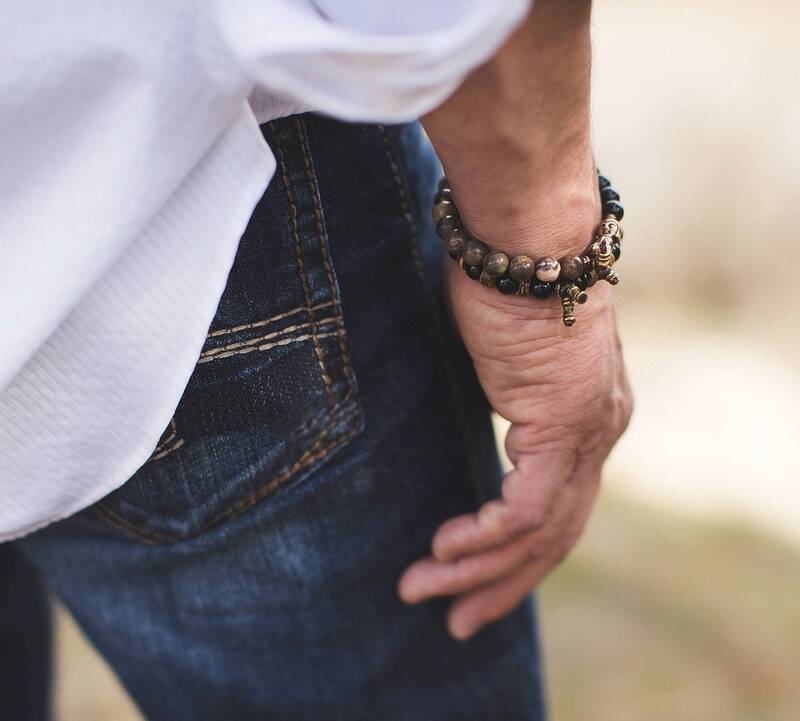 One size fits most wrists. Custom sizing is available.